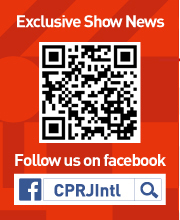 CHINAPLAS 2018 drew down its curtain on April 27 in Shanghai, China. 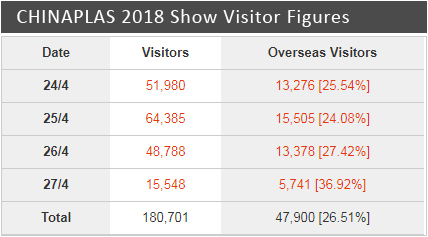 According to the organizer, 180,701 visitors showed up in National Exhibition and Convention Center (NECC), topping CHINAPLAS' all-time record! Browse more CHINAPLAS 2018 related articles. KRAIBURG TPE (SHANGHAI) CO. , LTD.
GC PLASTIC MACHINERY (HK) CO., LTD.
TONGXIANG GUANGSHENG PLASTIC INDUSTRY CO,. LTD.
SUN ACE KAKOH (PTE.) LTD.